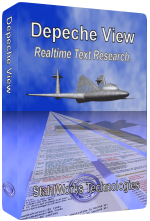 Depeche View is a realtime text file search tool made for Programmers who have to analyze thousands of source code files, but also for Non-Programmers who need to research many ASCII text files, like CSV database exports or documentation. It loads all text files of a folder into memory, showing everything in a single windows, as if it would be one large text. So, if you want to read many files, you don't have to switch between many windows or tabs. 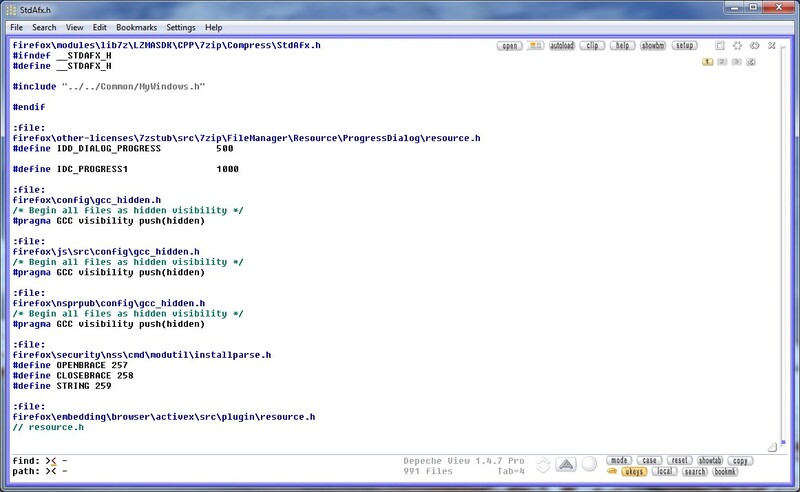 Just stay in the same window, and browse vertically over all text files in one go. 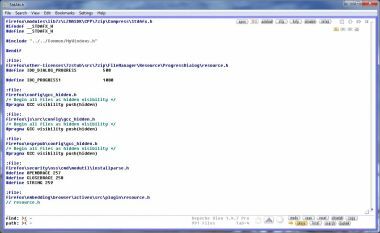 This simple approach of presenting text files allows you to research text faster than with any other text editor, search tool, or IDE. Read more on the main product page.